America was never the same again! No accounts of the Armory Show can exaggerate the sensation. Men of God thundered in their pulpits, warning their flocks away—which may in part explain the huge attendance…The rich and mighty gave their servants time off to take it all in. 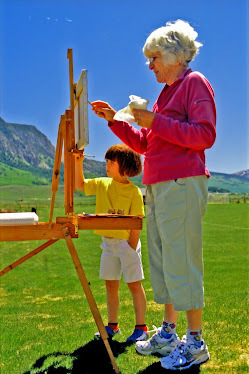 The man in the street, who had never looked at art before, appeared in great numbers…. Some of the critics were delighted because it gave them so much to write about and explain to those of lesser perspicacity. Others were equally infuriated, which was also good. Several nearly burst. 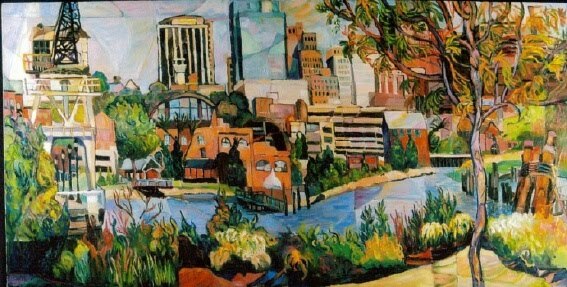 The Show was taken to Chicago, and the hullabaloo did not diminish there. In fact, it accelerated. Students at the Art Institute, which housed the exhibition, went so far as to burn Matisse in effigy, and the counterfeit presentment of kind, gentle Walter Pater, who was lecturing on the exhibition in the city, was also fed to the flames…. 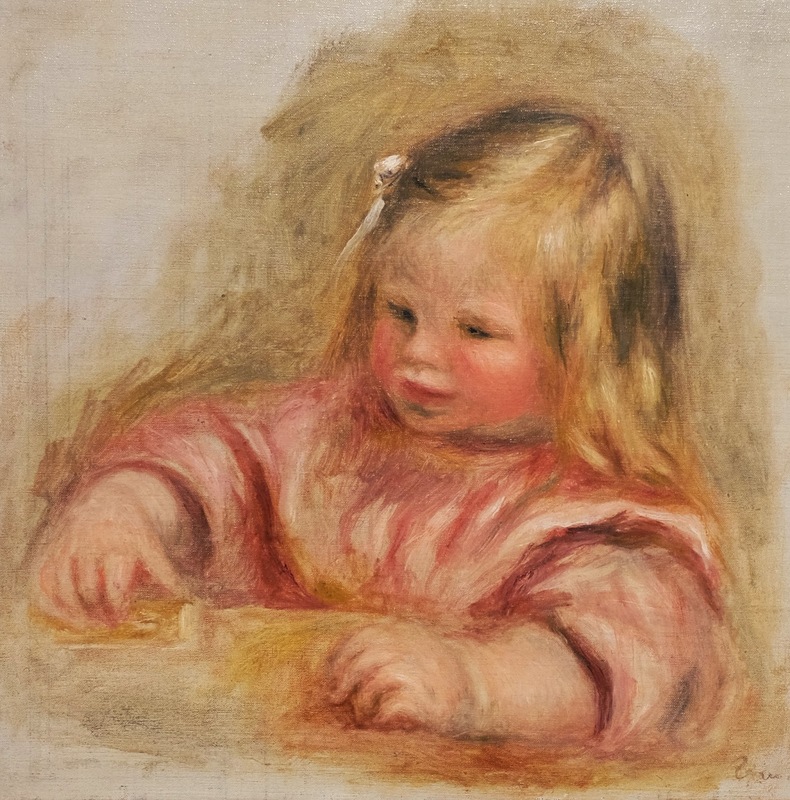 Consequently, I will continue the picture by picture examination of Renoir’s and Glackens’ work to explain what Glackens borrowed from Renoir and what he paid back with his own “interest,” so we can objectively evaluate Glackens’ achievement. 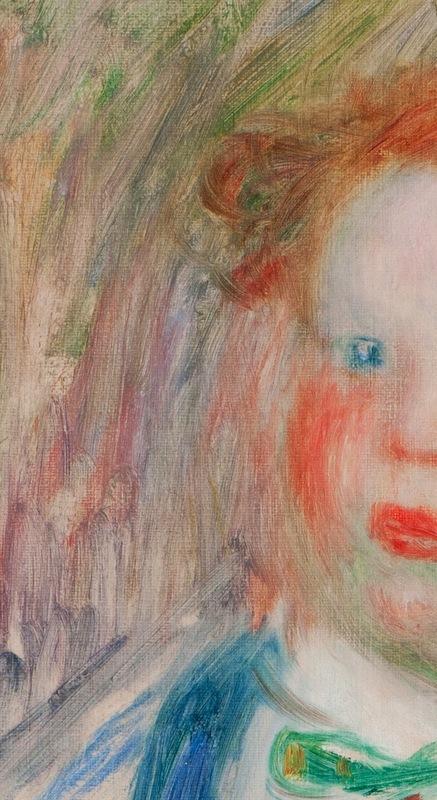 I selected these two paintings because they help me answer this question: how do Renoir and Glackens’ color volumes differ? Look at the spatial recession as the head of each figure meets the background. In Coco, the space into which the side of the rounded volume recedes is deeper than in Lenna. 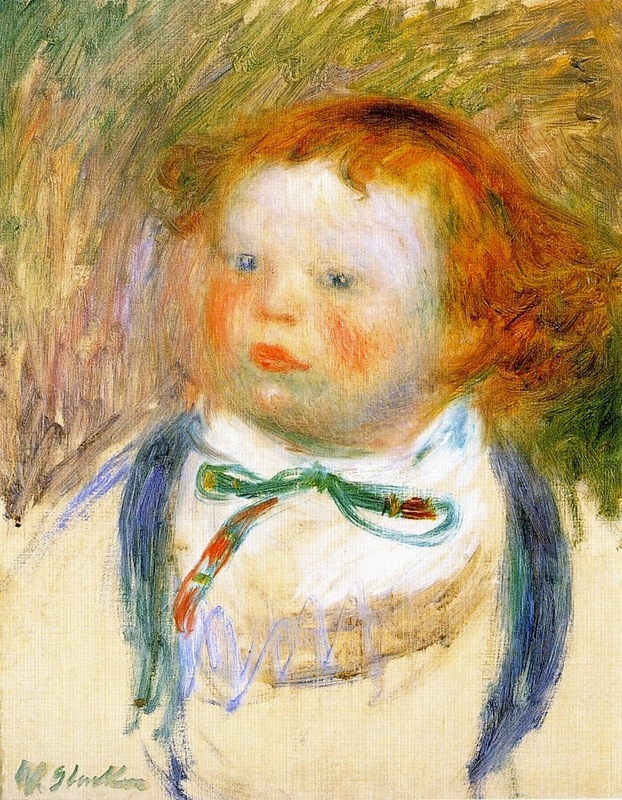 The fully three-dimensional cheek in the Renoir appears to bulge forward as the triangle of hair sets back a deeper space. 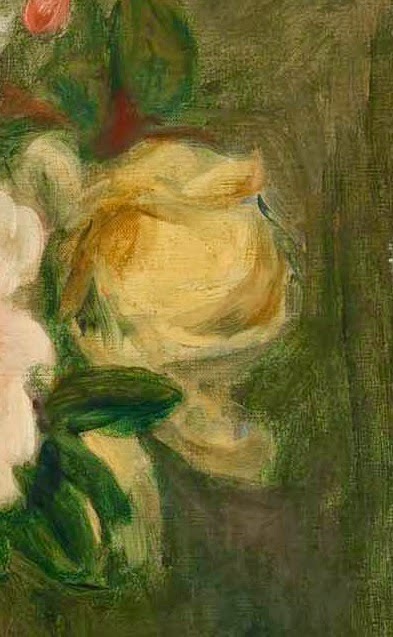 The cheek in the Glackens, with arc shaped color units flowing laterally and adjacent to each other as they continue over the boundary of the head into the background, meets a relatively shallow space. 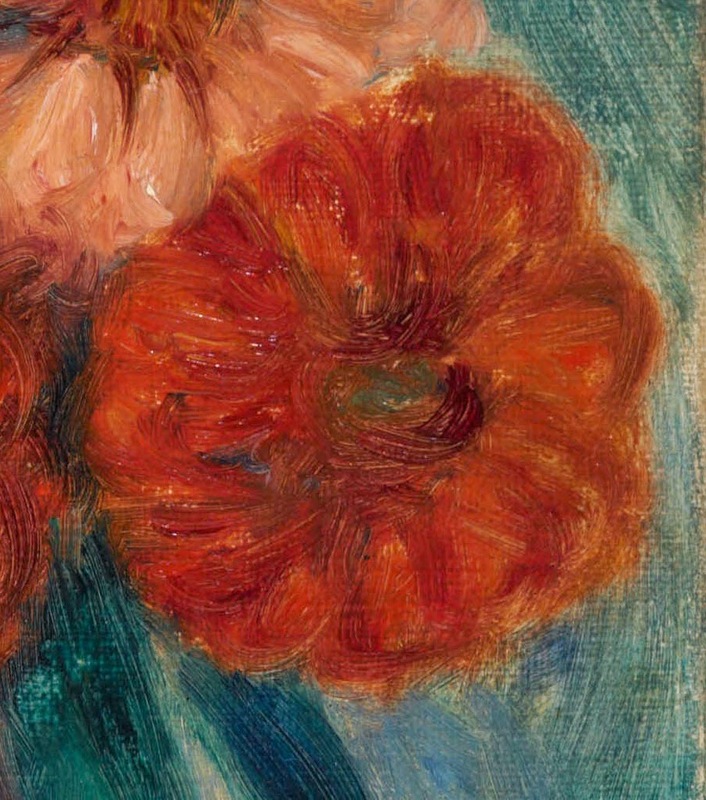 Because Glackens’ flatter, airy color volume does not carry the weight, depth and structural solidity of Renoir’s unit into the background, it accentuates the decorative pattern of arc shaped bands, exactly what Glackens’ interest led him to do. 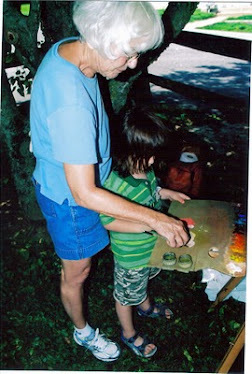 These two sketchy oils lend themselves to this investigation. These two paintings hang in the Barnes Foundation, in Room 6 to the far left of the West Wall, one above the other, making comparison easy. But examine its edge. 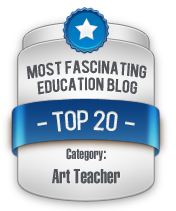 As the color unit of vase becomes the color unit of tabletop and background, what happens to the space? 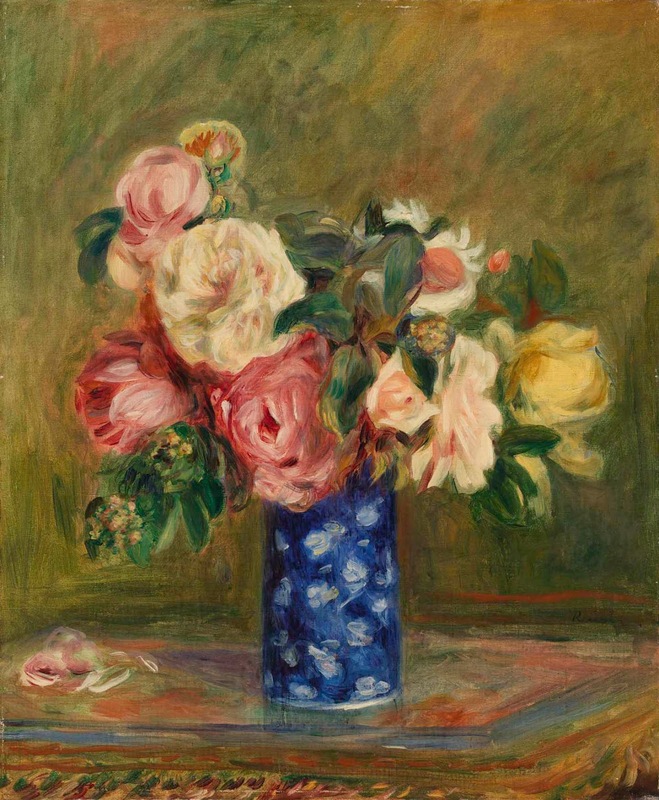 Then look at the Renoir vase, and do the same thing. 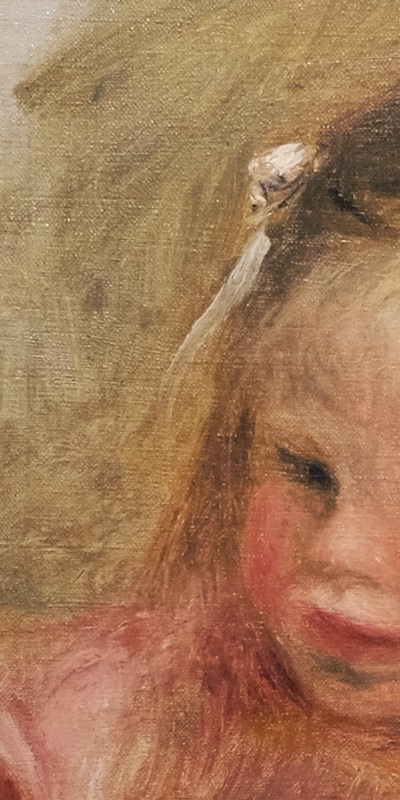 Do you notice the deeper space in the Renoir? 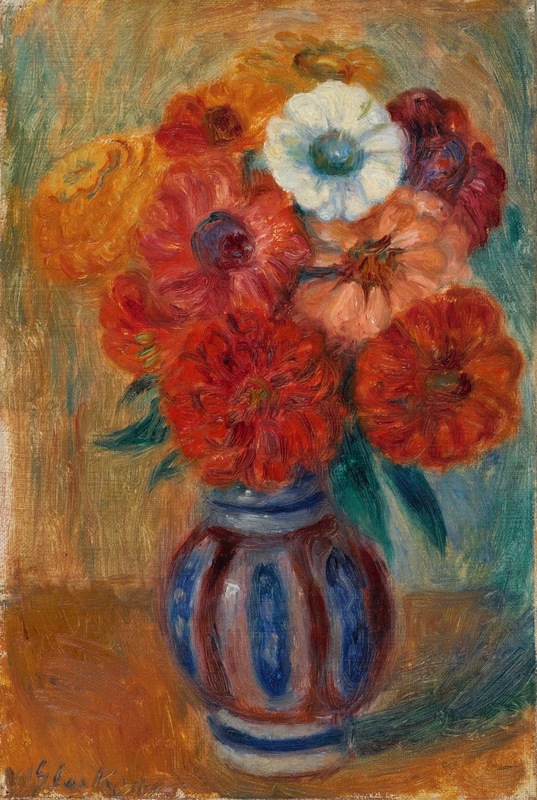 Glackens adapted Renoir’s structural solidity, its lush richness of color and atmosphere, and its heavy fluidity to his interest and intent: uniform color areas rather than color chords; a stress upon the pattern of areas; shallow and clear atmospheric space; and vivid, sharp color contrasts derived from Matisse and oriental art. 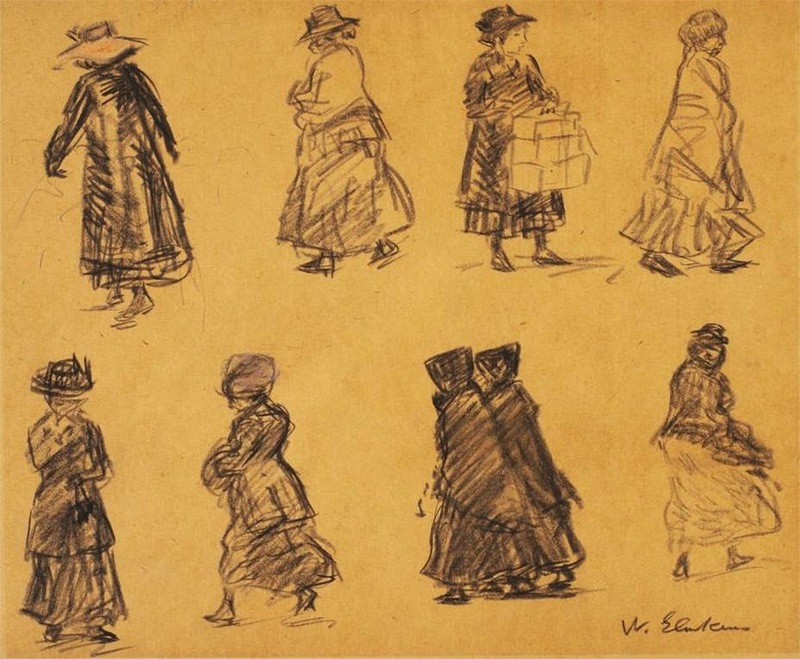 These sketchily drawn figures give the gist of movement and liveliness, along with a terse depiction of brisk or slow, through the character of Glackens’ line and compositional movement (look at the figure on the lower right moving back into space).